William John Tate was born in Rockcorry, Ireland in about 1855 and arrived as an unassisted migrant in Sydney on 6 May 1879 aboard Petersborough. He operated a grocer shop and resided at 55 Oxford St in Paddington. On 1 July 1885 he married Caroline Urch in the manse of the Presbyterian Church on the corner of Stanley and Palmer streets. On 14 March 1893 Caroline obtained a divorce on the grounds of habitual drunkenness and cruelty, a case which was reported in Sydney’s Evening News as the first one to address sub-section b of the Divorce Amendment and Extension Act 1892. The legislation stipulated that divorce could be granted on the grounds that the respondent has, for three years or more, ‘been an habitual drunkard, and either habitually left his wife without the means of support, or habitually been guilty of cruelty towards her’. Justice William Charles Windeyer charged Tate with contempt during the divorce proceedings and fined him 25 pounds. Tate also failed to pay his own counsel, was made bankrupt as a consequence, neglected to pay alimony, and absented himself from the area. 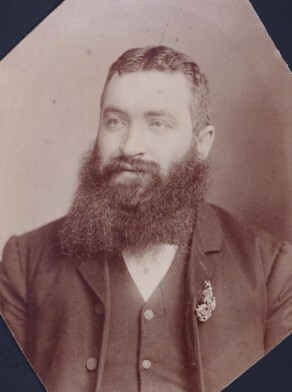 William John Tate was an alderman on Paddington Council in 1890-93. Information on William John Tate courtesy Graham Tate.